When in 1865 Pius IX asked Catholics, old and young, he needs their help, Fr. 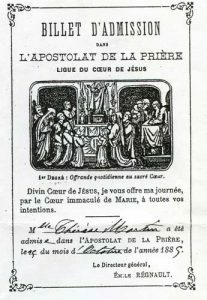 Cross, in Bordeaux (France), based on the idea that led to Father Gautrelet, sj, to start the Apostleship of Prayer, called on the youth to support the Pope with their prayers, hours of silence, sacrifices and communions. 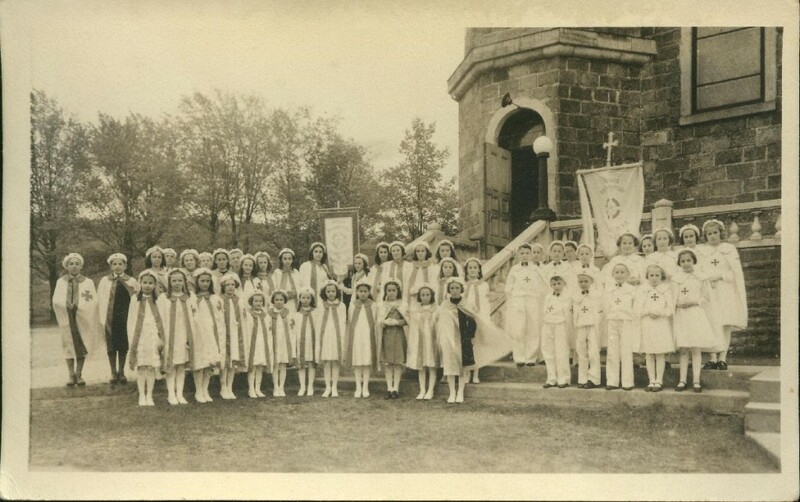 The idea spread rapidly through the Colleges and Residences throughout the Catholic world. So they entered the first children, known as “Crusaders”, in this dynamic of prayer and delivery. 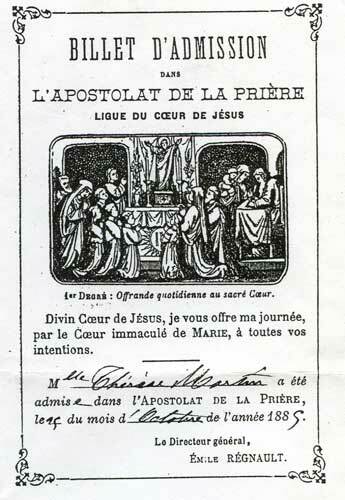 The first International Congress was held in 1881 in Lille. By then, they had already reached 100,000 members worldwide, including Thérèse of Lisieux, who was involved at the age of 12 year. 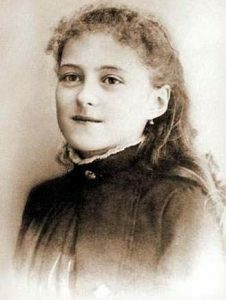 When St. Therese of Lisieux was scolded by her sisters for leaving her hospital room, at a time when she was already very ill, she replied: “But I´m marching for a missionary”. St. Therese had joined the Apostleship of Prayer in her childhood, and this way of prayer that she had internalized at a young age led her to be recongnised later as the patron of missions, along with St. Francis Xavier. Encouraged by the Eucharistic Congress, groups began to organise. 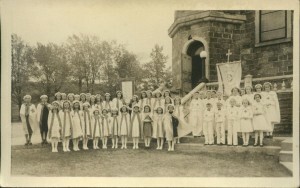 They were referred to as ‘Eucharistic Leagues’, then as ‘the Children’s Prayer Crusade’. A number of them joined the Apostleship of Prayer. It was at the heart of the Bordeaux Crusade, created on 13 November 1915 by Father Albert Bessières, SJ, and Geneviève Boselli, that the ‘Eucharistic Crusade’ really made its appearance. In 1960, on the 50th anniversary of Pius X’s Decree on frequent communion, before 3,200 delegates of the movement, Pope John XXIII did not use the word ‘crusade’, but instead employed the expression ‘eucharistic movement’. In 1962, the title ‘Eucharistic Youth Movement’ was officially recognised by the assembly of cardinals and bishops of France. This was not just a name change, but also a renewal in pedagogy, which quickly spread to other countries. «The Company supports and promotes this pastoral service (the Apostleship of Prayer), that the Holy Father has entrusted, as also the Eucharistic Youth Movement». Decree on the collaboration of the laity in the mission of the General Congregation of the Society of Jesus, 1995.